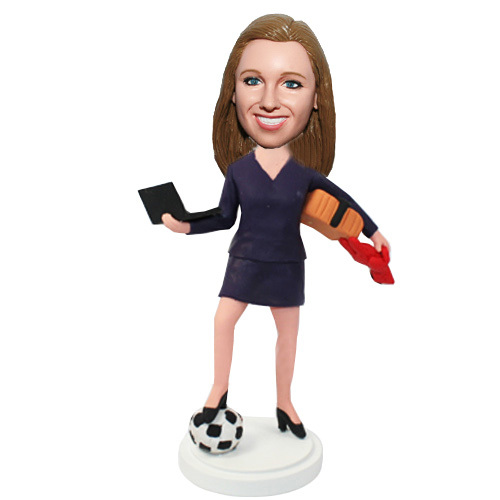 This customized female bobblehead doll depicts a female holding full in her hands and her left foot resting on a soccer ball. 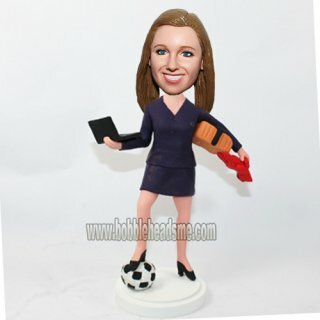 This customized bobblehead will impress a businesswoman, thus she'll do a much more better job for you. 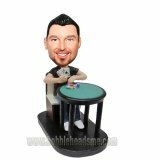 Have this bobble, and you'll never regret!! 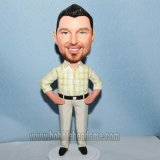 And it also a good joke make for your female boss.